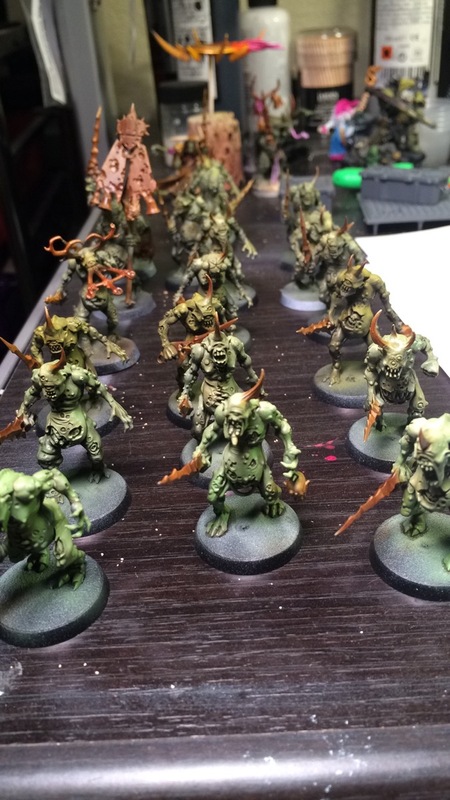 I started with multiple thin coat of Vallejo Grey Airbrush Primer. Then I brushed on a coat of Squid Pink 72.713 on the guts, tongues and about half of the exposed wounds. 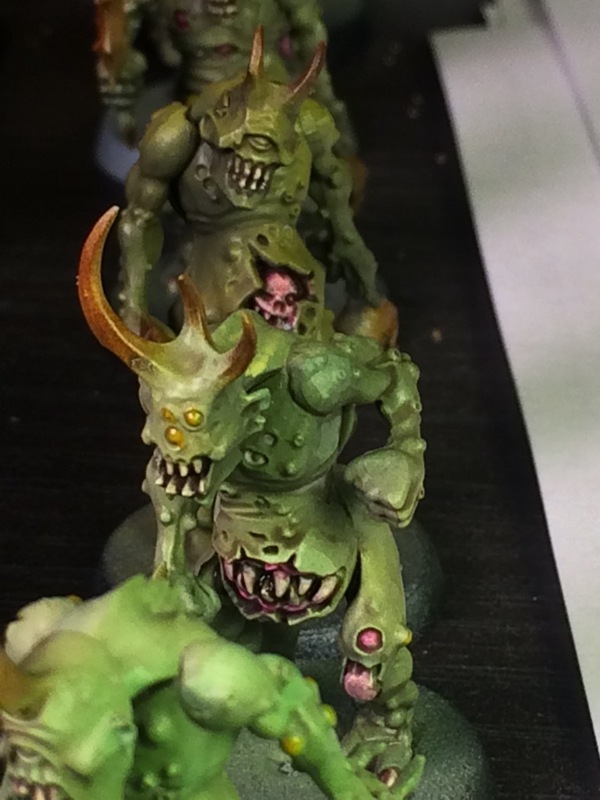 Once it dried I used Citadel Carroburg Crimson heavily on all the wounds, and Citadel Agrax Earthshade on the nails and teeth. One final touch was VGC Orange Fire on the pustules. 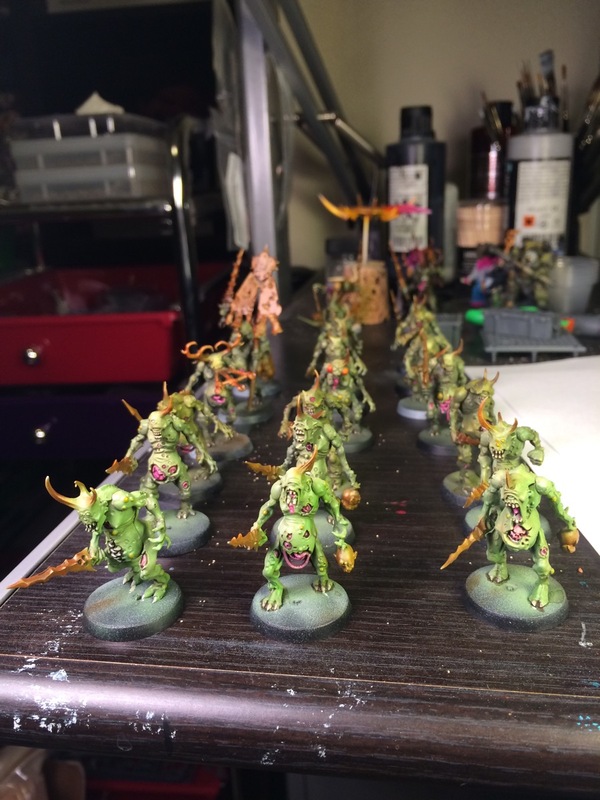 This entry was posted in Painting and tagged 40k, Airbrush, Chaos Daemons, Nurgle, painting by Peter Kelly. Bookmark the permalink. Quick and dirty, but still gorgeous! 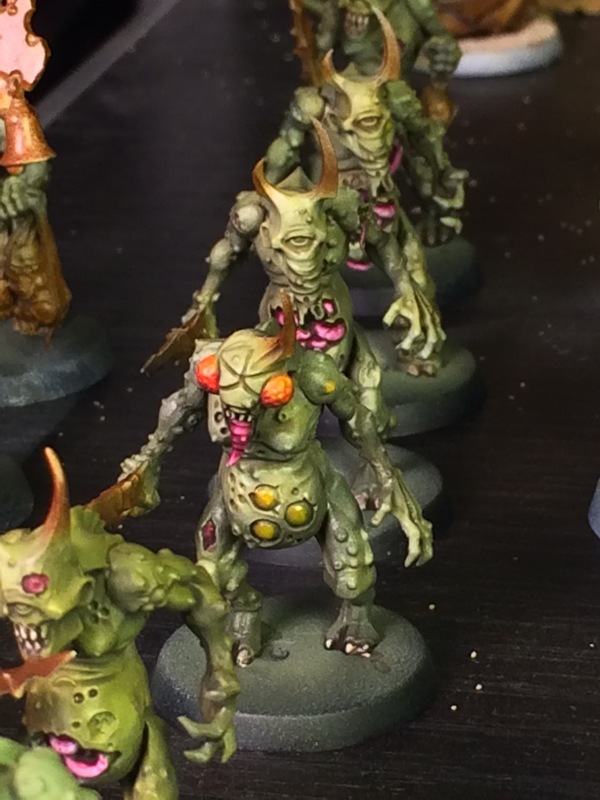 That’s some great looking plague bearers in rapid succession! Thank you. I really dislike playing with unpainted models, so most of my models are “tabletop” which means I spent a lot of thought trying to figure out what would look good, executed the most important part and then never get around to finishing the details… About once every few months I head to an event where painting scores matter and I go through an army and try to finish all the missing details. Not sure when that will happen for these poor guys.